AMong the leaves so green-O! 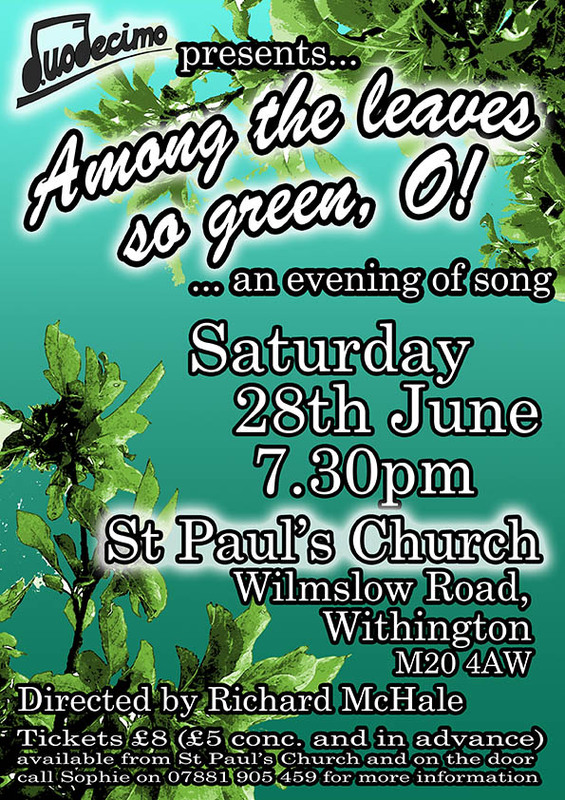 On 28th June 2014 we sang in the beautiful setting of the newly-refurbished St Paul’s Church, Withington. We gave a lovely programme ranging from madrigals by Bennett and Gibbons, to folk songs from England and abroad and some sacred motets by Stanford and Byrd – and another chance to hear the breath-taking work by Tavener, The Temple of the Veil. What: Songs on a nature-theme, from across the centuries and around the globe. < Previous Choir tour to Cornwall!